The Public Safety Unit wishes to inform the community that it has granted permission to Missy Stacey to hold a fund-raising event in her front yard to benefit the Kateri Food Basket. 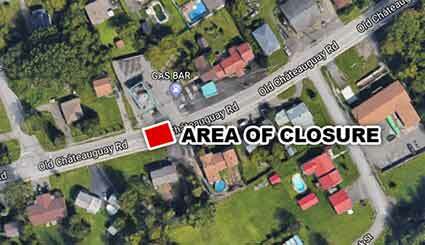 For the safety of participants, the portion of the Old Chateauguay Road directly in front of Stacey′s home (across from OCR gas bar) will be closed. Traffic will be rerouted. The Peacekeepers have been made aware of the event. For questions, call the Public Safety Unit during regular business hours at 450-632-0635.